With what seemed to be like a new London studio opening every week in 2017, you'd think we'd be all studio-d out, right? WRONG! With plenty more in the pipeline for 2018, here's just a few of the top ones you're gonna wanna check out.... Don't say I didn't warn you! Having spent the last year building her Define empire around London, ex Broadway star Ashley Yeater is definitely NOT a newbie to the fitness scene, but with her brand new studio opening this year just behind Oxford Street in Central London, she’s about to take her barre based class concept to a whole new level! Expect a total body workout using light weights but with lots of reps, pulses, and the occasional opportunity to write “I LOVE ASHLEY’ on the wall using your toe. You can’t make this stuff up! Set to open in February, with a range of barre, mat and stretch based classes on offer, in addition to a weekly run club from one of my favourite Courteney Fearon, this place may be about to become my new second home! Every fitness enthusiasts worst nightmare. When you come across the most incredible studio, with amazing classes and top notch instructors.... but it's out in Clapton. We're talking way out of my zone 1 comfort bubble! However, a little bird has informed me all first world problems are about to be solved, with a new studio opening this month at 2 Hearn Street, Shoreditch. Continuing with the strong architecture and design found in their Clapton premises - a refurbished tram depot - the new studio is set to have an art gallery, a 60 seat cafe providing a bespoke vegan nutritional offering, AND a retail space featuring the most innovative and technical sportswear brands. As described by the founder, Reema Stanbury, "BLOK combines fitness with art and design and our gyms are beautiful spaces that you want to spend time in before and after a class". You can say that again! Anyone who follows me on Insta will know Third Space is more like my first space and now, with four sites (Soho, Marylebone, Tower Bridge and Canary Wharf), London's premier gym group is about to make a fifth addition to the portfolio. 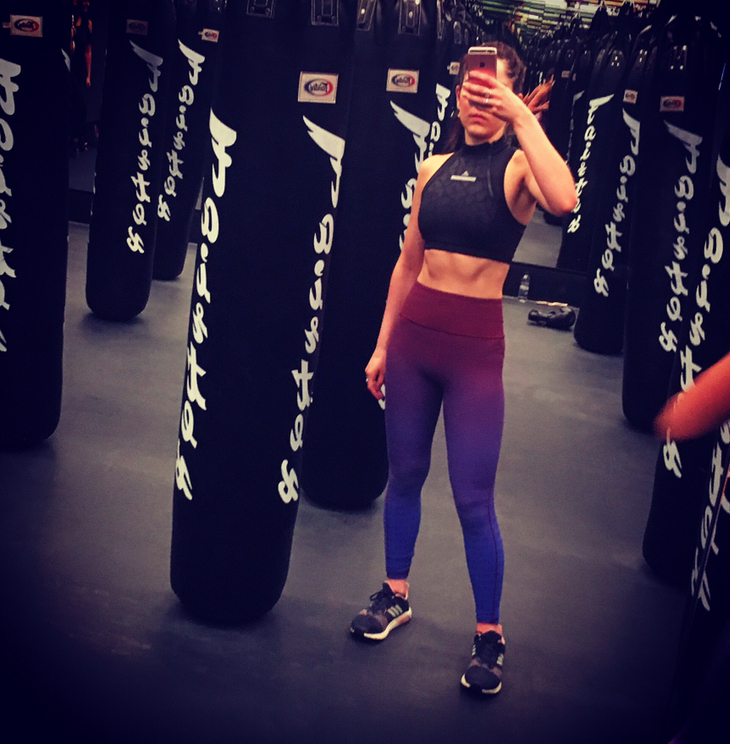 Read more about my favourite Third Space classes - Afterburner and Sweat X! The cycle studio of dreams! From what began with a single studio in Richmond, it's no surprise the boutique fitness studio has no quadrupled in size, now with studios in Oxford, Moorgate and Blackfriars. And now, a little heads up - a FIFTH new studio, situated in Rathbone Sq, due to open April/May. A five minutes walk from Tottenham Court Road Station, whilst the build has still to begin (meaning exact details are still sketchy), they've confirmed it will indeed offer both their signature class concepts : Ride and Matrix. Ride, an indoor cycling class performed on top notch Keiser M3i bikes, focuses on wattage and allowing you to track and measure your data. Meanwhile, Matrix provides an intense full body workout featuring Technogym SkillMill treadmills, kettlebells, TRX's and bodyweight movements. One things for sure, after working up THAT sort of a sweat your gonna need to take a visit to THOSE luxury changing room and shower facilities afterwards!! I mean, does this place even need an introduction? One of the originals, and still one of the best! Expect red lights, loud music heavy weights, lots of reps, oh, and did I mention interval sprints and hill climbs on the treadmills? It could only be Barry's! Adding to the Barry's existing Euston, Queensway and Shoreditch portfolio, now catering for the Southerners is the brand new studio set to open later this month just off Sloane St, SW1. Admittedly, when I was given the grand tour a few months back the 'new studio' was still a lot of rubble, but even from that I could tell it's gonna be pretty popular. Get those booking reminders in your phone, pronto! Back when it was FitMiBody - same space, just made even better! OK, so this isn't a NEW studio as such, just a rebranding as of Monday 8th Jan. And when you set about improving what was already a pretty amazing studio, that can only lead to even more fitness fun!! Sorry (not sorry). 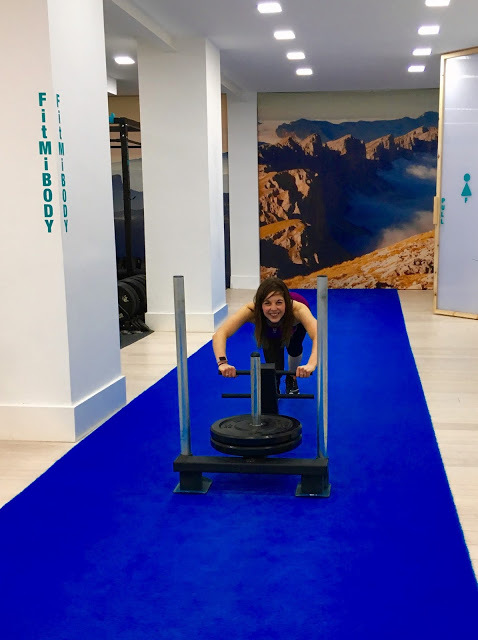 Genuinely though, situated just off Old St roundabout as what used to be 'FitMiBody', this small group personal training studio focuses on a specialist, personal approach. With classes being kept to a maximum of 10 people, they allow for an affordable way to be exposed to all the benefits of your own personal trainer, without breaking the bank. Not only do you also benefit from the enjoyment of working out with others, but with the classes being designed to a four week program, starting with stamina, then build, into power and finally challenge, the progressive and focused nature of the workouts keep you going back for more! Post 1Rebel reshape, just for some additional fun! Finally, leading the pack of them all, it's 1 Rebel, who are set to open not just one, but FOUR new studios in the first half of 2018 - with even more on the agenda for the latter part of the year! To add to their current St Mary's Axe and Broadgate portfolio, first up on the agenda will be Southbank to open this month - and rumors have it another two at Victoria and Bayswater (hmmmm, sound familiar targets?!). What dya think - enough to keep you busy?! Everything you provide in your blog site is so superb topic This is very educational content and written well for a change. I have found this blog from Google. I have received a bunch of information. I hope you welcome comments because I must say that I like your posts so much. I was surprised when I read the first lines, it made me think about many things, thanks for posting it. Thank you for your sharing articles. .I can solve difficulties by applying them. I want to enjoy more and more about your writing. I wish you best things in life. I wish I could write such articles, I can then increase traffic to your website. Please some tips on how to do it if it is a long phase process? As soon as I discovered this website I went on reddit to share some of the love with them. We stumbled over here coming from a different web address and thought I might check things out.